Inspiring young minds at Big Build 2017. 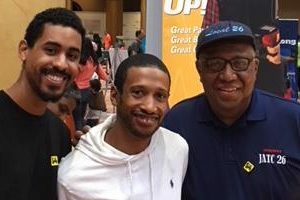 The Electrical Alliance, in conjunction with the Joint Apprenticeship Training Committee (JATC) of the International Brotherhood of Electrical Workers (IBEW) Local 26, participated in the 2017 Big Build at the National Building Museum in Washington DC on Saturday, October 14. Members of RENEW Leron Douglas (3rd year apprentice) and James Reid (5th year apprentice) with Lawrence Hyson (JATC assistant director). Cary James (3rd year apprentice) volunteered as well, she is not pictured. This year’s event involved more trade groups than ever before and the National Building Museum welcomed over 3,300 visitors throughout the day. 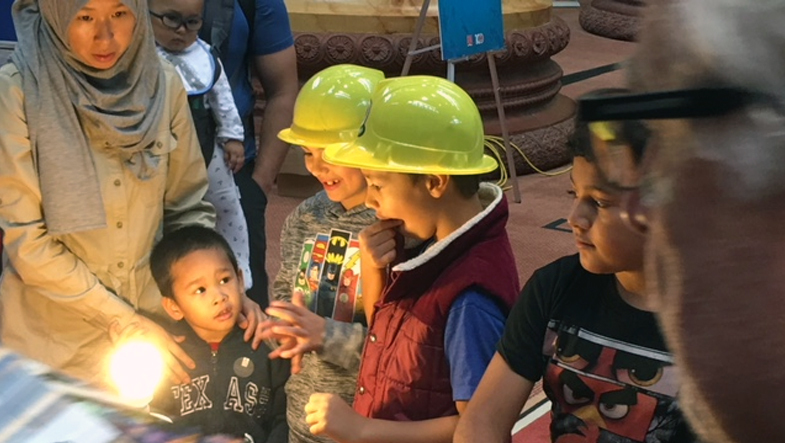 Big Build provides children, ages 4 to 14, the opportunity to experience trades, crafts, and explore passions related to careers in the construction industry. Several hundred children and their parents stopped by The Electrical Alliance and JATC booth. Members of RENEW, Local 26’s 18-35 year old group, and JATC staff conducted the in-booth activity. There they learned how a light switch works and helped instructors wire an electrical unit. It was great to see kids “light up” as they discovered the magic of electricity!